One of the many blessings of living in California is that we are on the coast, so regular trips to the beach are possible. We also boast a number of wonderful aquariums where kids can learn all about ocean animals. 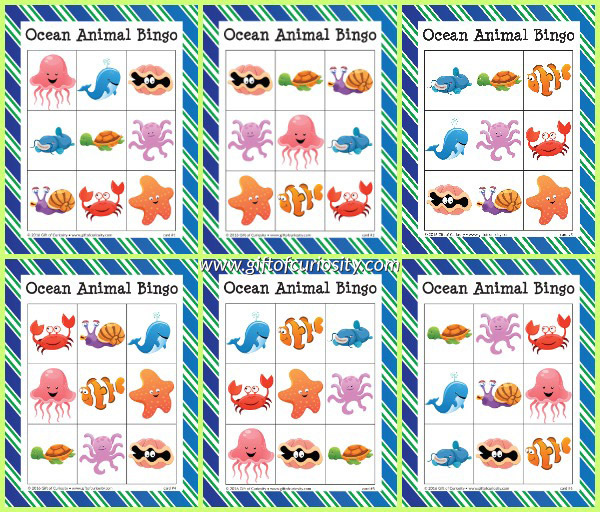 If you have a child who loves the ocean or if you are planning an ocean unit, I have a new resource to offer today: my Ocean Animal Bingo game. 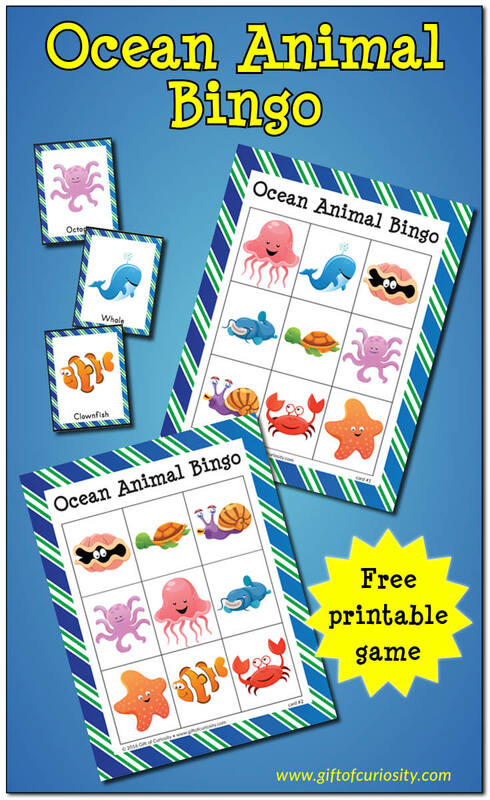 Changing up the rules each time you play Ocean Bingo is a great way to give kids’ executive functioning skills a workout. For example, the first time kids need to get a straight line to win. The next time kids need to get the four corners to win. The next time kids need to fill in all squares to win. Mixing it up like this will help kids develop flexibility in their thinking. You can play blackout Bingo, four corners Bingo, or line Bingo with these cards. 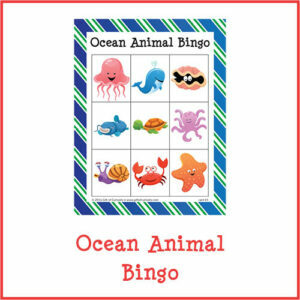 No matter how you play, my Ocean Animal Bingo game provides a great opportunity to learn about the animals that inhabit our ocean while having fun at the same time. 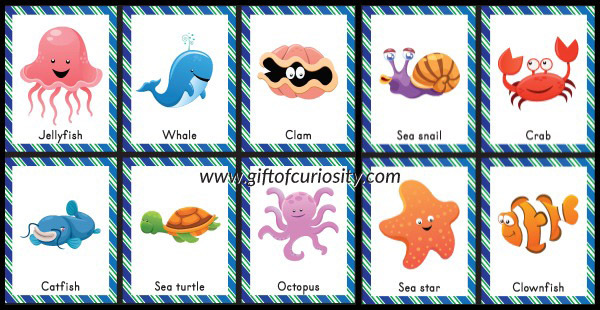 Want a copy of my Ocean Animal Bingo?